— Tag holders, or their licensed guide if applicable, must call the Black Bear Harvest Information Hotline prior to hunting to determine if the hunt has been closed due to the harvest limit being reached. The number is 1-800-800-1667 and is accessible 24 hours a day. — Black Bear indoctrination classes will be held on Saturday, August 17, 2019 and on Saturday, September 7, 2019. Both classes will be held from 1 pm to 4 pm at the Nevada Department of Wildlife’s conference room, 1100 Valley Road, Reno, Nevada. Attendance at one black bear indoctrination class is mandatory for tag holders or their representative guides or sub-guides. A person represented by a guide or sub-guide at the indoctrination class may only hunt under the direct supervision of the guide or sub-guide who attended the class for them. Tags will only be issued upon completion of an indoctrination class. — The Department phone number to call and report a harvested black bear is 775-688-BEAR. Leave a message. 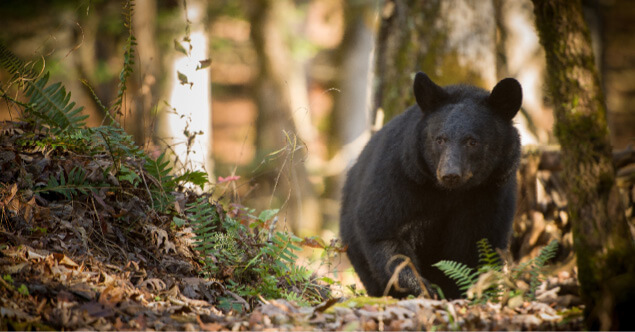 Successful bear hunters that have their harvest physically inspected at a Department office will not be required to return a hunter harvest questionnaire. Unsuccessful bear hunters will still need to complete the hunter harvest questionnaire.